Home AgeWise Can You Hear Me Now? 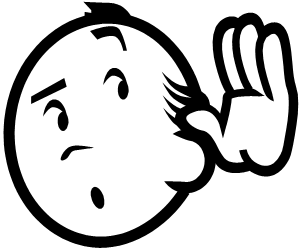 A common belief about aging is that people lose some or all of their hearing by the time they get to their 70s. Sometimes, the first thing they notice is that it is harder to understand what people are saying on television. The music and sound effects are more than loud enough, but what the characters say, especially when music is playing in the background, is difficult to make out. In my study on aging, one of the women I interviewed described not being able to hear what people were saying on television–until she replaced her 25-year-old set with a flat-screen TV. The newer model had not only a sharper picture, but the sound quality was improved to the point that she no longer had trouble listening to people talk on television. Not hearing the television or movies well can be a bother, but when you are out in public, hearing issues can be even more problematic. It is irritating to not be able to pick up what people around you are saying, and too embarrassing to keep asking, “What did you say?” or to ask that people repeat what they said. When you’re in a crowded place, like a busy restaurant, and there are many other voices (and maybe music being piped in overhead), hearing the conversation at your table can be difficult. Some of my older friends complain that it’s more challenging to hear well when the speaker has his or her back toward them. Not only can they not pick up any facial cues, the sound of the other person’s voice is projected in the opposite direction. Add hardwood floors and you have sound bouncing everywhere except directly into the listener’s ears. This is what happens to my neighbor Barbara, who is in her late 80s. She seems to hear just fine when I am talking with her face-to-face, but when her husband comes in the room and talks while walking past her, she may not even be aware that he is speaking. Another situation in which hearing may be difficult is on the phone. My 91-year-old father found it so hard to understand what the person at the other end of the line was saying—sometimes because they were talking really fast or there was background noise—he is reluctant to talk on the phone. On the rare occasion that he does get on the line, much of his side of the conversation consists of either a nervous laugh or a noncommittal “Yeah” that may or may not relate to what is being said. He’s simply trying to cover the fact that he didn’t hear the other person. Some of the time, he just doesn’t want to listen. The older we get, most of us expect that our hearing will deteriorate. We see it as simply another part of aging. Ellen Langer—the Harvard researcher and author of the bestselling classic, Mindfulness—cautions us against painting hearing loss with a broad brush. In her groundbreaking book, Counterclockwise, she suggests that rather than simply state that someone is losing his or her hearing, we should pay close attention to the patterns of hearing issues that the person is experiencing. When does the person have difficulty hearing? At what times? Under what circumstances? And are there times or situations when they are able to hear? Instead of making a blanket statement like “He can’t hear” it may be more useful—and accurate—to say something like, “He doesn’t hear well when there is crowd of people around.” That way, when you visit that person, you can facilitate a better conversation by sitting in a room alone with them. As we pay attention in a variety of situations, we can learn when an older person can hear more easily and when it’s more of a challenge. 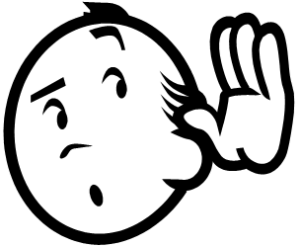 Avoid making blanket judgments about people’s hearing…and about your own. Assume you were wrong about a loved one’s hearing and pay close attention. Awareness and mindfulness can help you interact in a more meaningful way with the people you care about. Let them—and yourself—be heard!